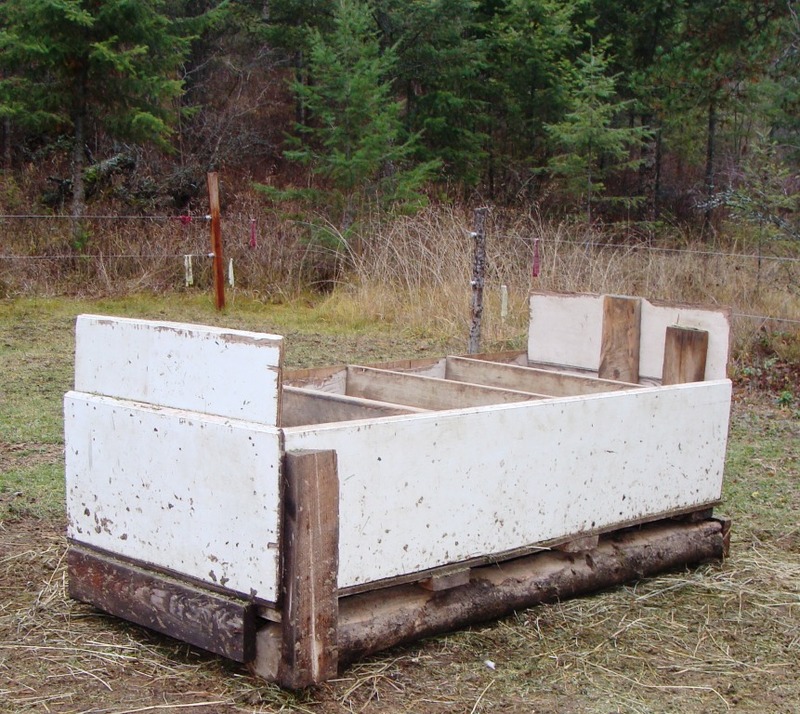 Build a feeder designed for cows! 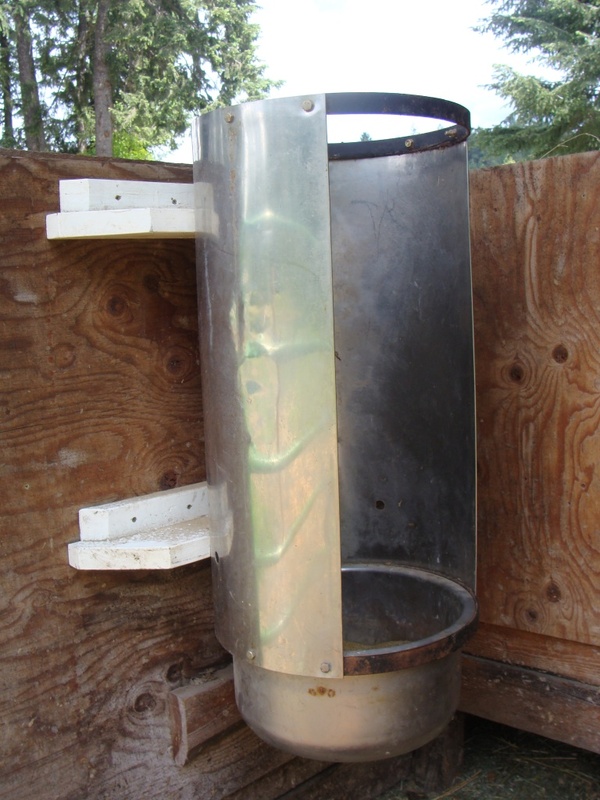 My dad made the first feeder (pictured above). 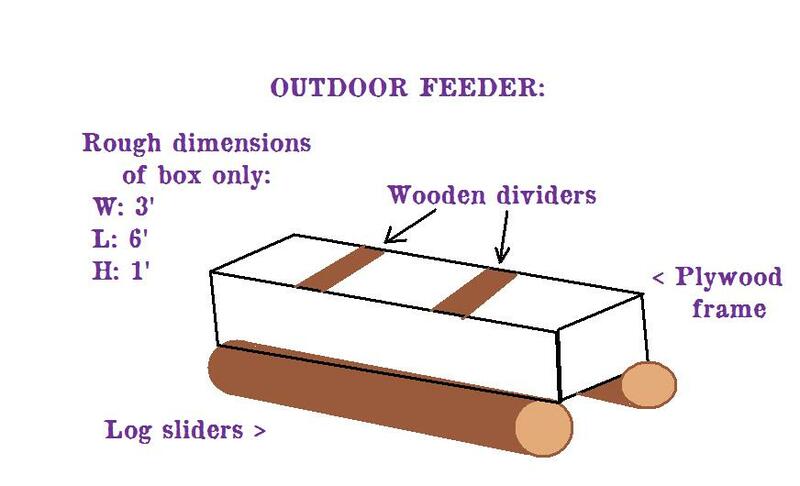 This feeder is made of wood and PVC. We wanted something that the cows could stand at and enjoy a variety of feeds without losing much on the ground (see how clean the ground is?!) We couldn’t find a store-bought style that worked, because they are all designed for horses or for round bales. My dad came up with the idea for the PVC, thinking it would “flex” a little and be easy for the cows to eat through and never get hurt. The bottom of the PVC pipes are snugged into a board that has been drilled with holes the size of the PVC. 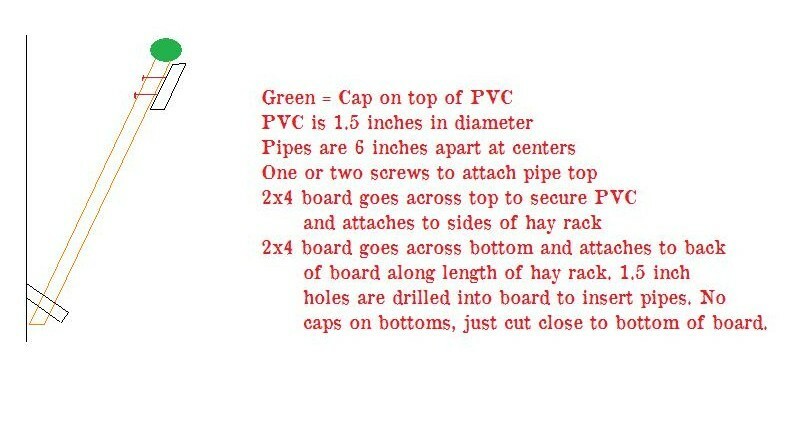 On top, the PVC can be attached by a clamp or by a screw being drilled through the back. Be sure to cap the pipes so they don’t scratch you when you’re putting hay in! The trough area is about 6 inches deep for the alfalfa flakes to fall into. You could also put your salt block or loose minerals in this area. 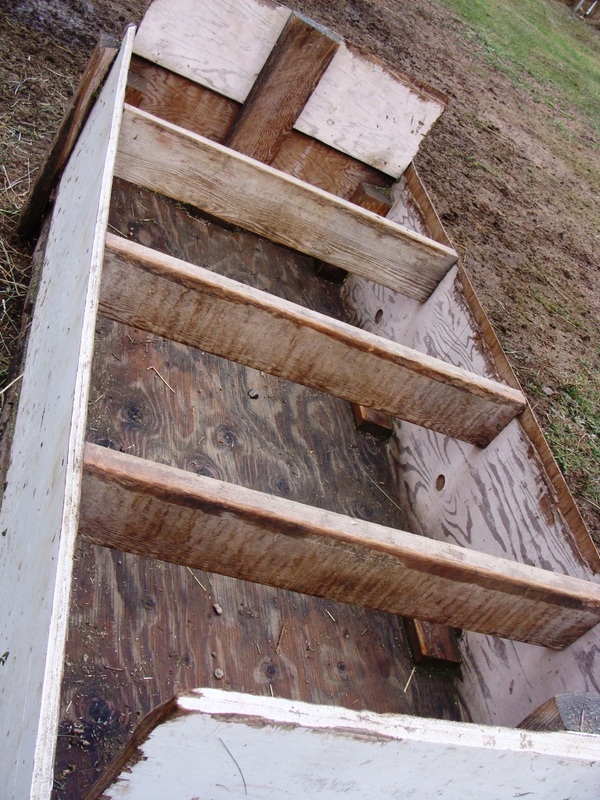 Scrap wood can make this project very inexpensive. 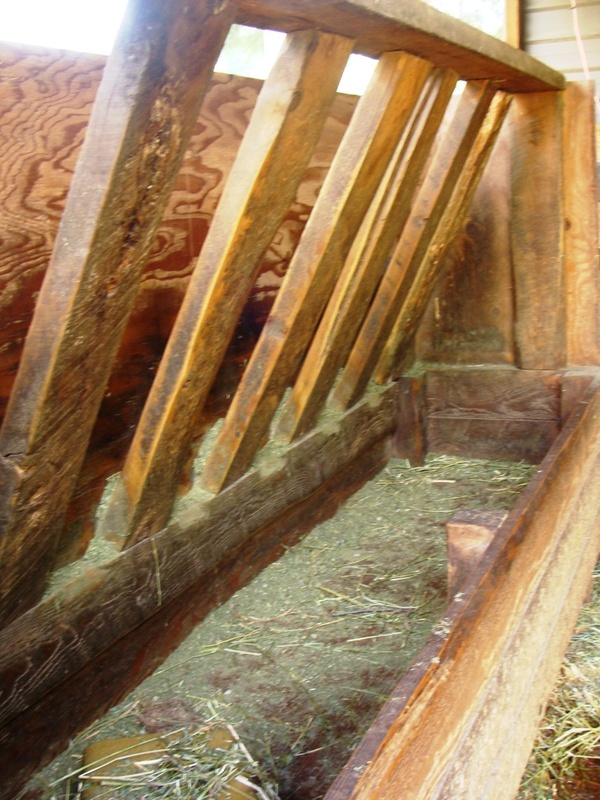 In retrospect, the only change would be to make the top wider to allow for more hay capacity. 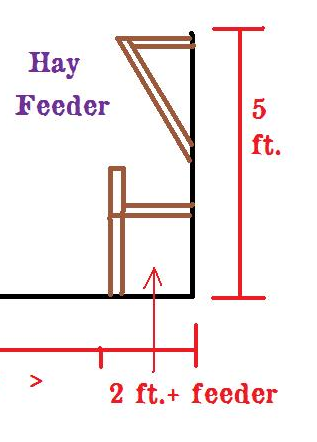 NOTE: This feeder can be moved, so the back is another sheet of plywood, NOT the wall. It does require support from a wall or fence on the back. My husband made the second feeder (pictured below) out of solid rough cut lumber. Dimensions are similar to the first feeder. 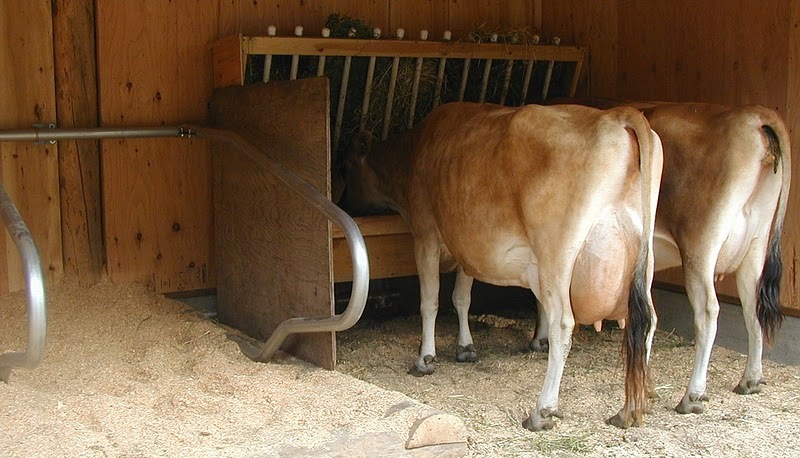 There is a feeder that my husband designed for outside use that keeps the cows eating outside when they can (which keeps the freestall barn drier and cleaner). He likes to feed the cows outside during the day, which gives him time to clean out the freestall barn and indoor feed area. 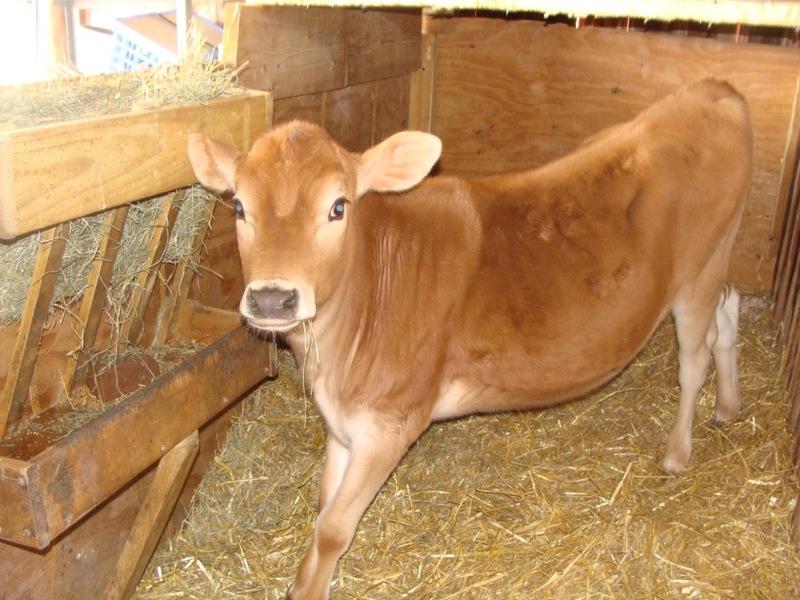 Plus, the cows enjoy being outdoors during the day, with the option to come inside in bad weather. Works well for pasture feeding, too (keeps hay off ground and avoids weed seed getting onto ground). I love your web page. Great information!! 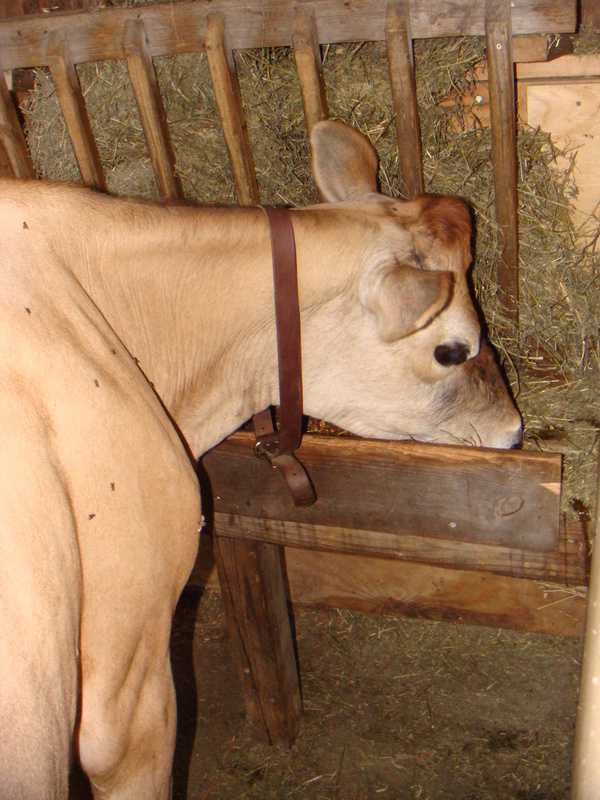 We have one sweet Jersey cow and one rambunctious Nubian goat that…, well is a goat! These two are pals and are in the same area together. 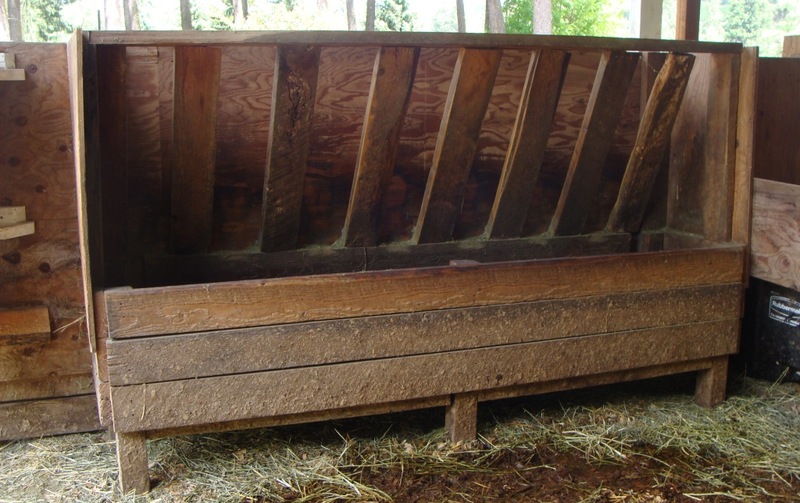 I am desperately needing a manger that will accommodate both of their eating stiles. I need to keep the goat out of the feeding troth area as much as possible to avoid wast of hay and to keep it as clean as possible. Do you think the goat could get all four feet into the troth at once and stand in it? Your help on this is most appreciated. 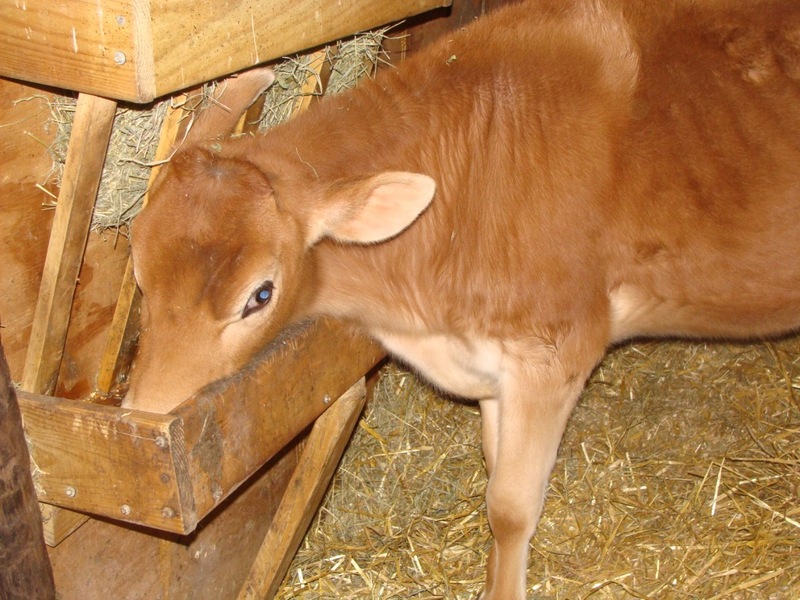 Would you be able to email me a detailed plan on how to do the calf or single cow feeder? I am trying to make a plan on my own, but I am struggling. Thank you. 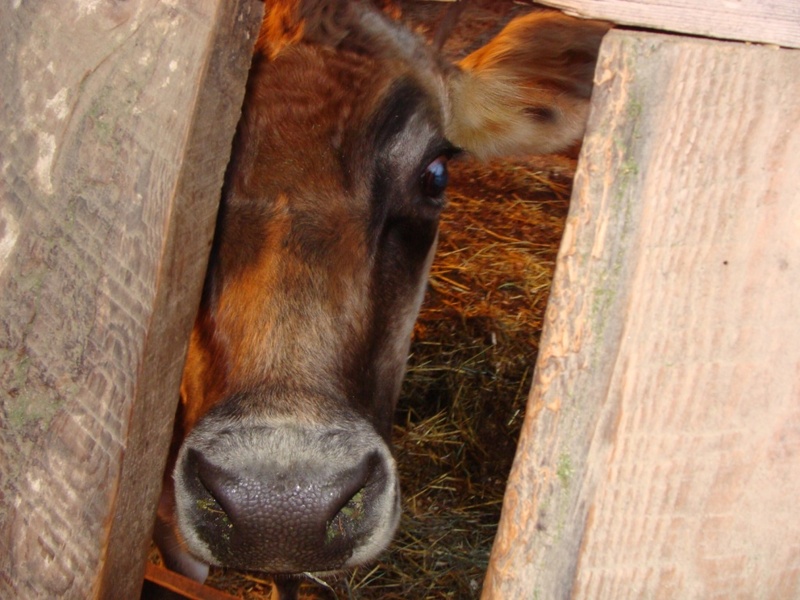 Wouldn’t you want to keep the cows away from PVC and painted, glued, and/or treated wood? As you can see, the PVC model was the first one built (technically, PVC is relatively stable after the first few weeks of use, although I agree with you that it’s best to avoid). My dad was worried about using wood, thinking the wood might cause splinters. 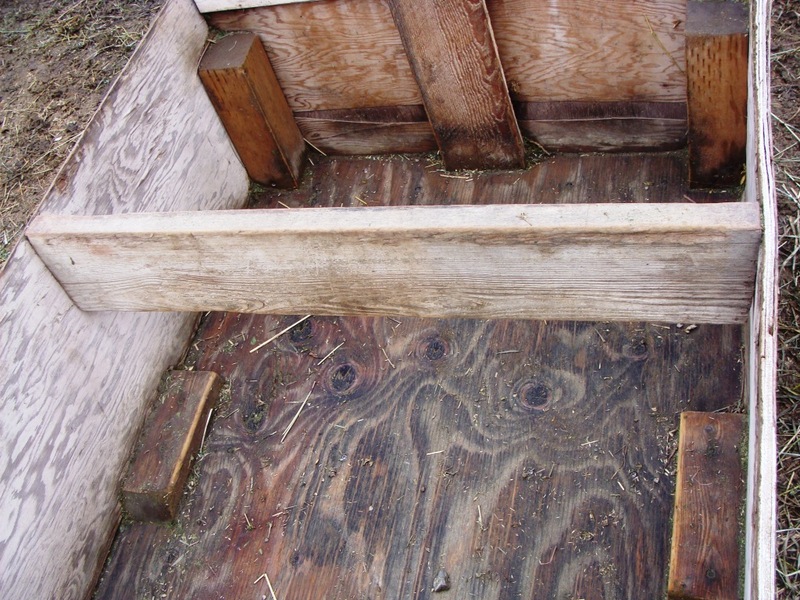 But, we’ve found that their rough tongues do fine with wood (as you can see, the other designs are all wood). My dad built a new larger version (will post pictures one of these days) and he used metal water pipe instead of PVC. 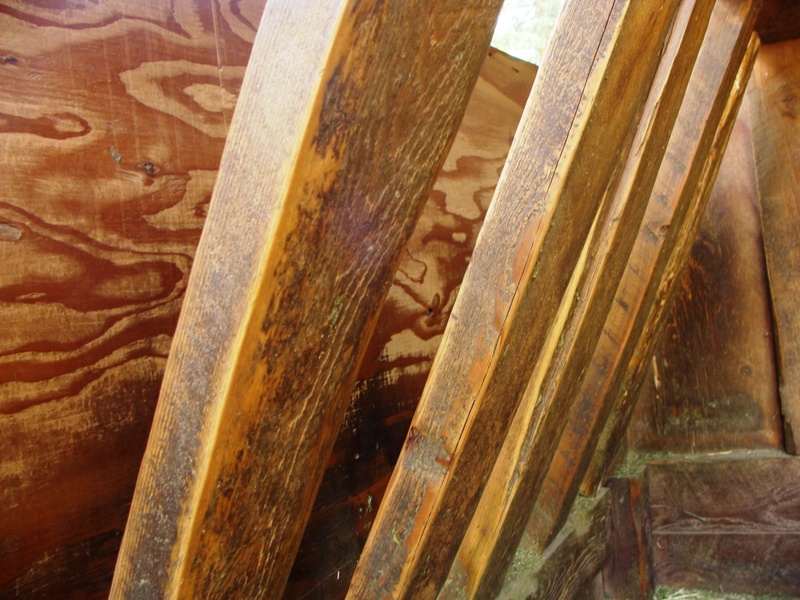 None of the wood we use contains bad glue or treatment. Our plywood is produced locally, and their “glue” is a mixture of flour and blood, there is not formaldehyde in their formula. 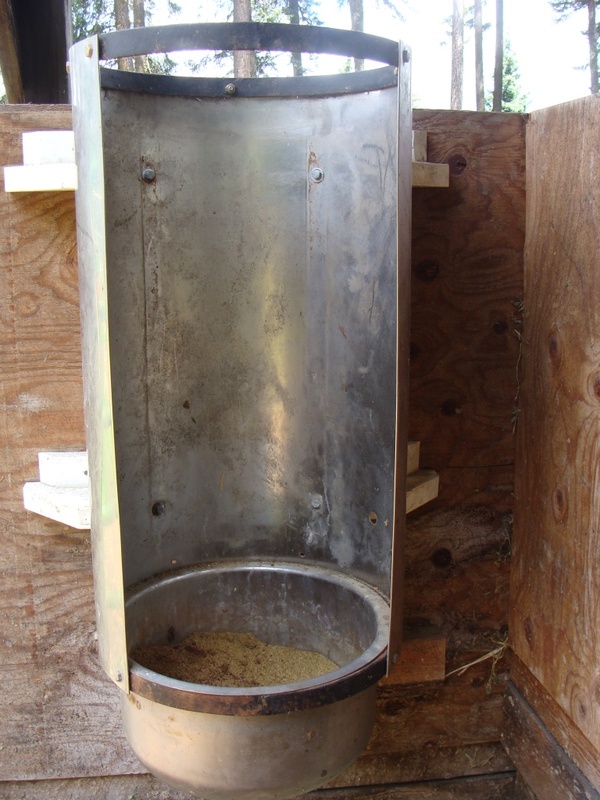 As for paint, we used scrap wood and I agree it’s not ideal, but has done fine being on the outside of the feeder only – the inside is plain wood. great idea, thanks . Im going to build one. John. Sultan , wa. thats wonderful how you want to be a blessing to others….as it SHOULD BE !….Amein ! Thanks again so much, blessings to you and your family. 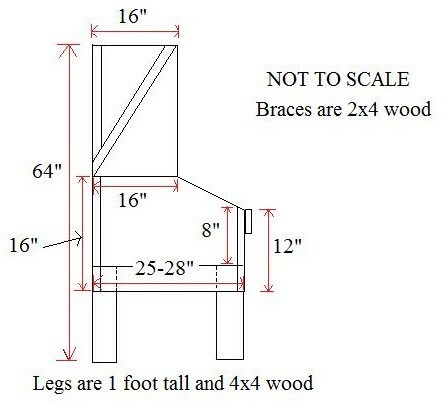 please email me these measurements…i love it…and my husband would need to see this…. Feel free to copy/paste/print any of the photos for your use. We like our information to be public and available to anyone, with the hopes it can help others as it has helped us. Thanks! I LOVE IT !!!! 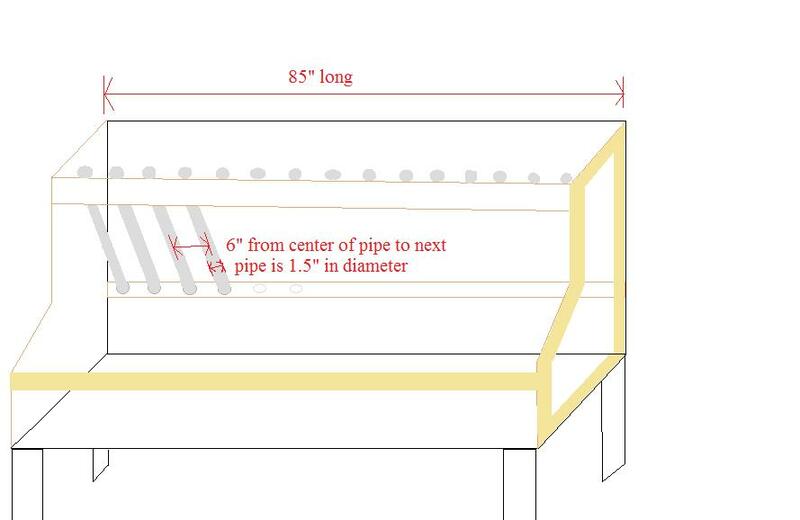 !….PLease keep this posted so my husband can write down the measurements…Thanks !